Anthropology parallels our walk with Jesus because anthropologists are also in the world but not of the world: anthropology makes the familiar strange and the strange familiar. We ask questions about human experience based on holistic, comparative and diversity-validating views of how humans work, read and live. Indeed, there is such a thing as a 'good question.' Anthropology will teach you how to ask it." 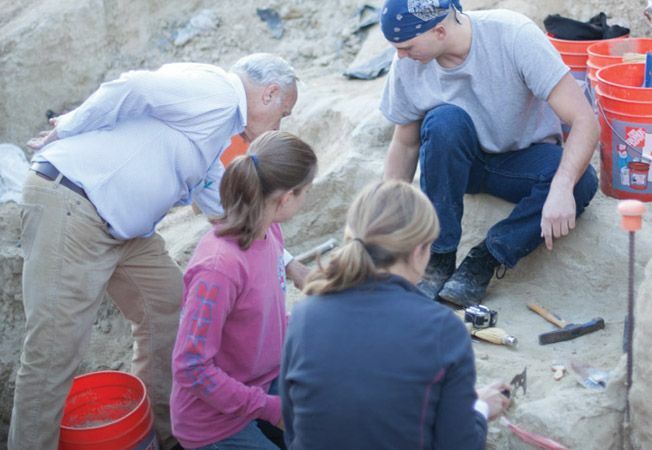 The Cook School of Intercultural Studies offers an undergraduate minor in archaeology that provides students with a hands-on learning experiences designed to expand their understanding of archaeological practices and historical development. Discover the nature of different cultures and people throughout history by receiving a hands-on study of modern archaeological methods and its historical development.